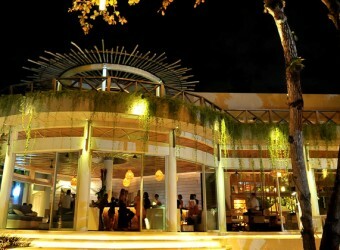 Bali Restaurant Cocoon is a new style restaurant located at Double Six Street Seminyak. Main menu is Mediterranean seafood and also provides a wide variety of menu choices including homemade granola and pancake. There are also many guests stay at the restaurant from morning. Playing at the beach and pool then go to have dinner at the restaurant, and at last enjoy delicious drinks.